The Heritage Council of Victoria is excited to hold its annual Heritage Address for 2017 as part of Open House Melbourne’s 10 year celebrations. 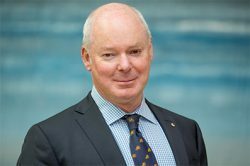 Dr Gerard Vaughan, director of the National Gallery of Australia and formerly of the NGV will present this year’s address on 19 July at 6.15pm at Deakin Edge, Federation Square. His talk will be a thought-provoking look at the role heritage plays in our cities and lives. The Heritage Address is an annual lecture given by a prominent individual on matters relating to our heritage. Since its inception in 2009, each talk has presented a reflection from a personal and professional perspective of facets of the heritage world.